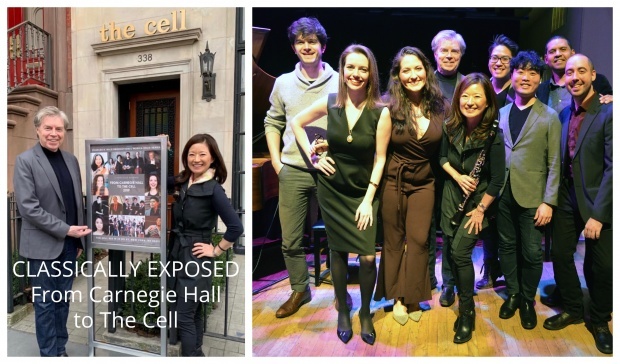 Vera Maura’s photos, “Classically Exposed: Carnegie Hall to The Cell.” A Charles R Hale Productions/Musica Solis presentation. Last night, 23rdStreet in the Chelsea section of Manhattan was filled with magical sounds emanating from the Cell Theater…a preview of Charles R. Hale Productions and Musica Solis’ “Classically Exposed: From Carnegie Hall to the Cell.” If last night was a glimpse of what is to come in this seven-event series, which will explore classical music and its relation to pop, jazz, and other musical genre, one word comes to mind for the rest of the season: Anticipation. Charles R. Hale and Seunghee Lee (Sunny) have a common interest, which was clearly established last evening: They both seek to promote young and upcoming musical artists. 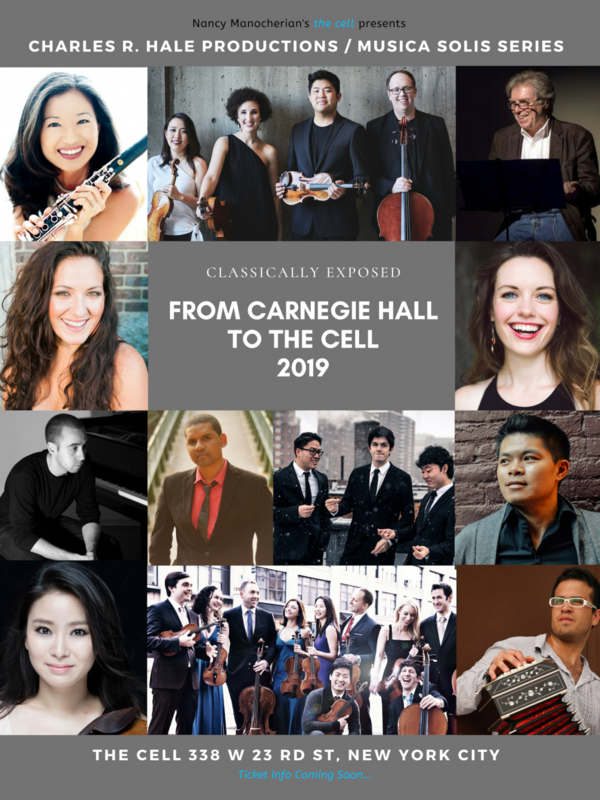 Their unique ability to both find and attract superb talent was clearly demonstrated in this preview of their 2019 series. 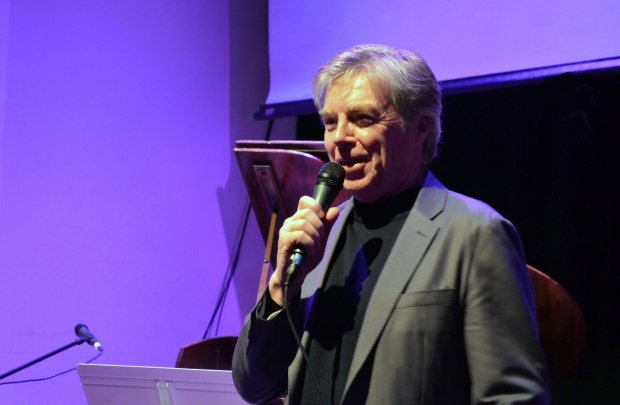 CLICK HERE FOR SUBSCRIPTIONS AND TICKETS FOR EACH INDIVIDUAL EVENT. 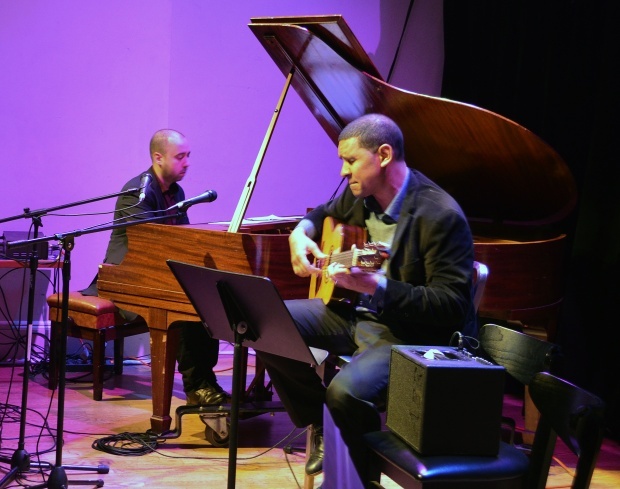 Renato Diz/piano and Yuri Juarez/guitar performed the evening’s opening set. 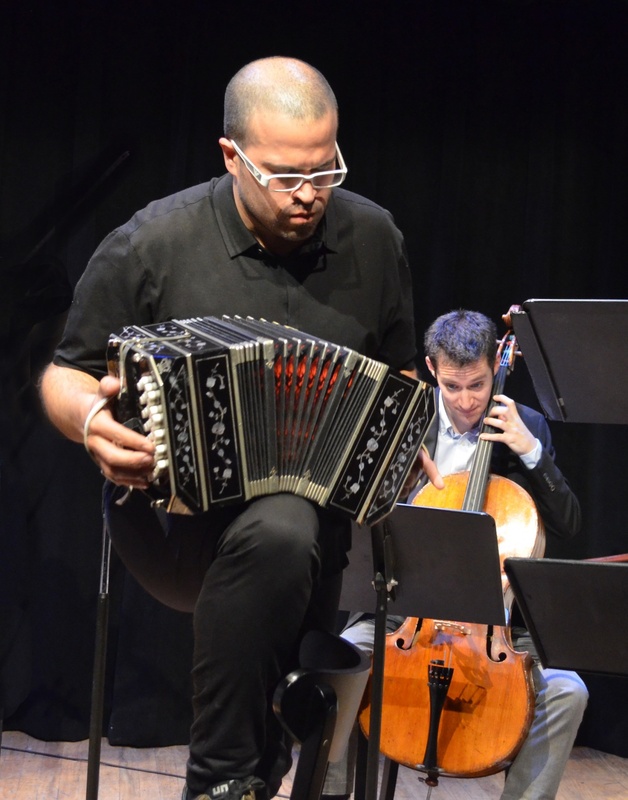 Renato, who has performed throughout the world and who be can be heard on over twenty albums and Yuri, who has recorded a number of albums, and has received the Latin Jazz Corner Award for album of the year, “Afroperuano” were sensational. Watching the finger work of these two enormously talented musicians was special. 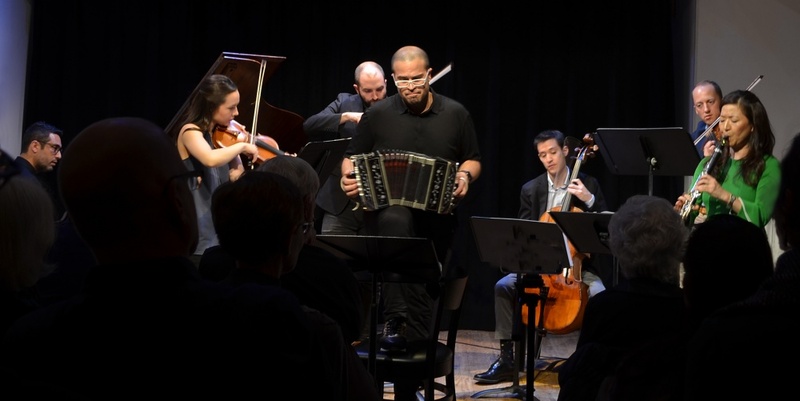 Their performance included “Concierto de Aranjuez” by Joaquin Rodrigo and “Libertango” by Astor Piazzolla, which they arranged with improvisational references to jazz and other musical genres. Brilliant. 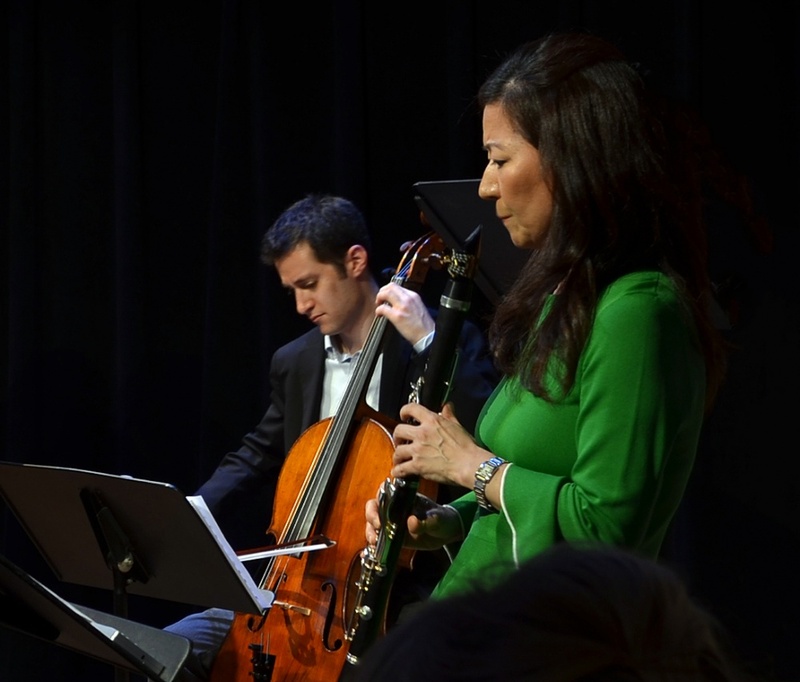 Sunny, a renowned international solo clarinetist and recording artist, led the trio Empire Wild in “Another Day of Sun” from the movie LaLa Land. 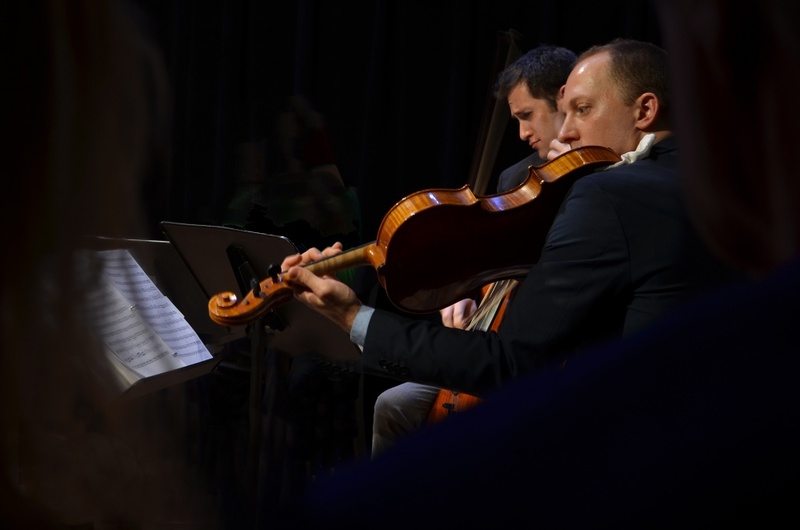 The superb performance highlighted the fact that what would normally be considered a classical ensemble—two cellos, a clarinet and piano—is equally at home performing pop tunes. 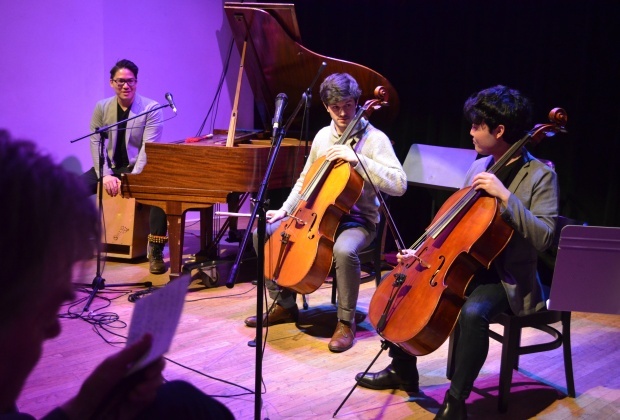 Empire Wild, which consists of cellists Mitch Lyon and Ken Kubota and the multi-instrumentalist Brandon Ilaw captivated the audience with their virtuosity. Ken played his cello in ways that would have made Casals proud. He played it across his lap like a guitar, plucked the strings and played it with a bow. Mitch Lyon has an affinity for folk music and arranged a beautiful piece with Brandon and Ken’s accompaniment. The versatile Brandon sang a number of tunes, played the piano, cajon, and kept time with a band of bells around his ankle. 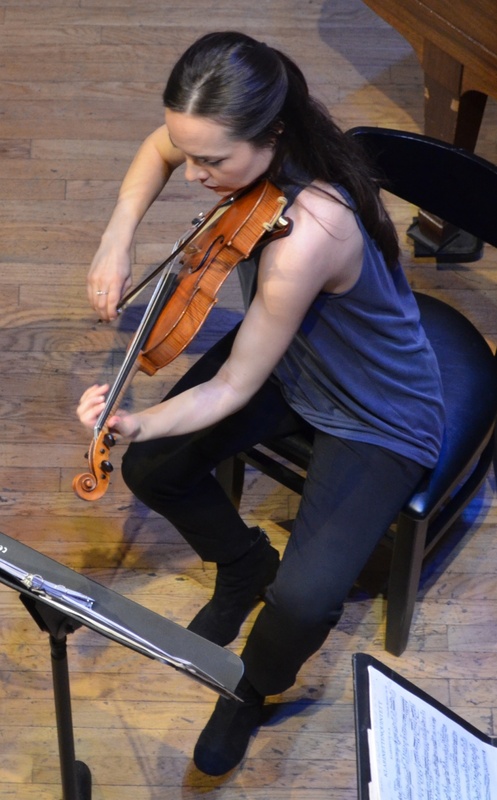 The three Julliard graduates performed brilliantly and have bright futures. 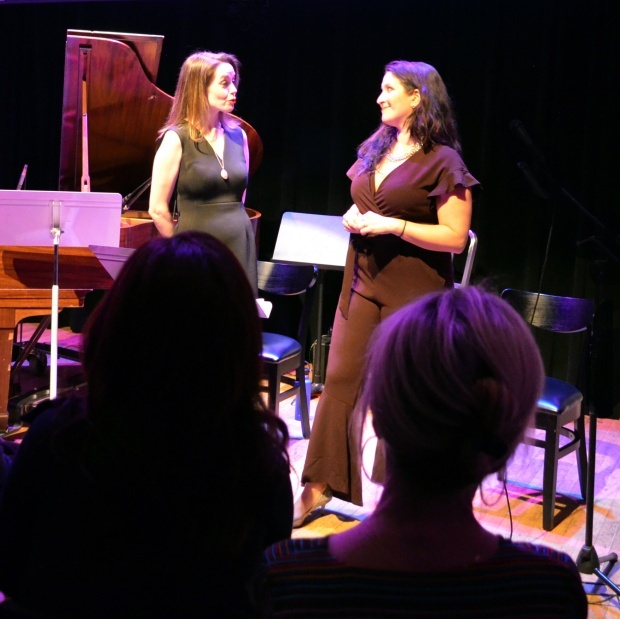 Capping off a mesmerizing evening with a grand performance were Clare Maloney and Nicole Zuraitis, who will, from my point of view, be forever known as the “Cell Sopranos.” Both Clare and Nicole were classically trained and have branched out to become versatile performers. Nicole, nominated for a Grammy in 2019, is a singer songwriter and Clare has been hailed by audiences around the world for her magnificent voice and range. Clare led off with the flirtatious “Musetta’s Waltz” (Quando m’en vo) from Puccini’s La Boheme. Each lady in turn sang a popular song with its roots in opera and then Nicole did a solo rendition of “O Solo Mio.” The evening ended with a stirring performance of the “Flower Duet” from Delibe’s opera Lakme. Dame Joan Sutherland would have enjoyed listening to these two women sing. It was a beautiful evening of musical entertainment made more memorable by the interactions of the artists with the audience. The “cell” is a cozy intimate theatre, where there is little space between the artist and the audience Does that work? It certainly does. The audience came to their feet several times during the performances. 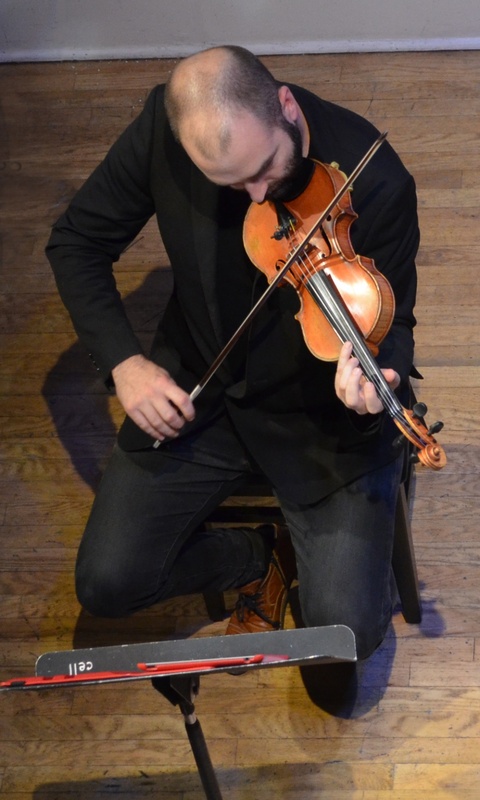 In addition, spontaneous applause broke out in the middle of a number of the instrumental solos. Anticipation for the future shows in this series was palpable and I, and I’m sure the entire audience, anxiously await the next performance. 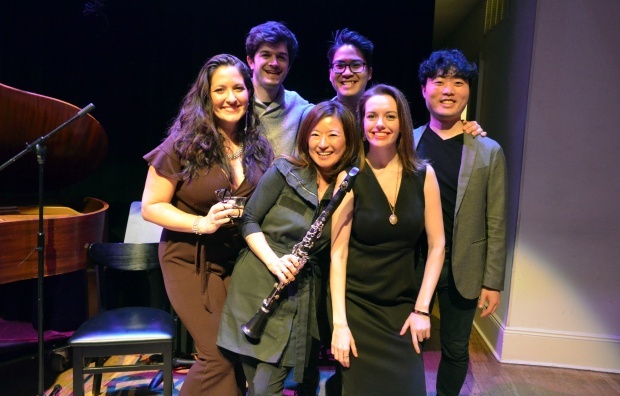 Thank you to Charles, Sunny Lee and all of lasts night’s performers for a memorable evening. All photos by Vera Maura. 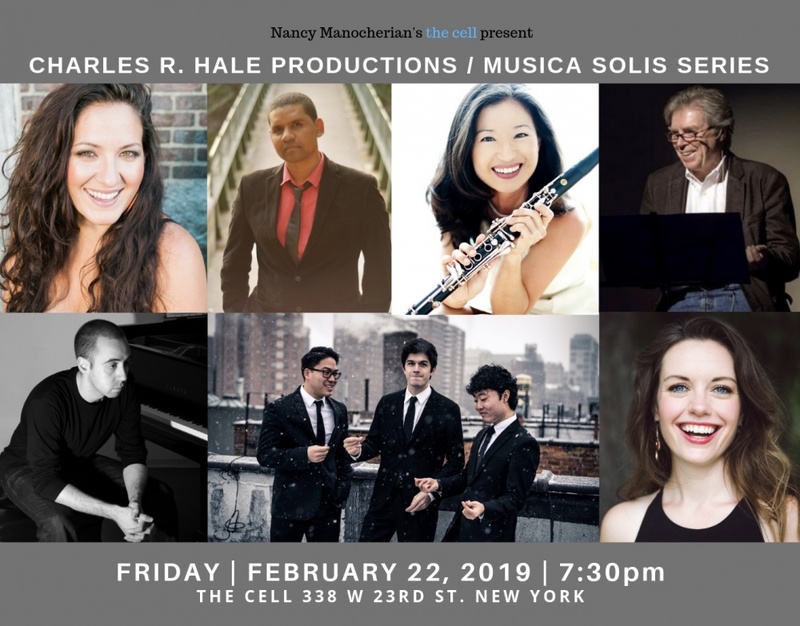 This Friday night, Feb 22nd, 7:30pm, you can get a sampling of four of the shows when Sunny, Empire Wild, Renato Diz, Yuri Juárez, Nicole Zuraitis and Clare Maloney will be performing at The Cell, located at 338 West 23rd St in the Chelsea section of Manhattan.